I missed you! I am finally in my new home, in a new country, on another continent, in another hemisphere. Crazy, right? Packing up all my nail polishes was quite a challenge. I didn't count, because I don't really want to know >.< but I estimate I have something like ~800 polishes. It took me around 10 hours to pack them all up, individually wrapping each bottle lovingly in bubble wrap and using masking tape or clear tape to hold it together. 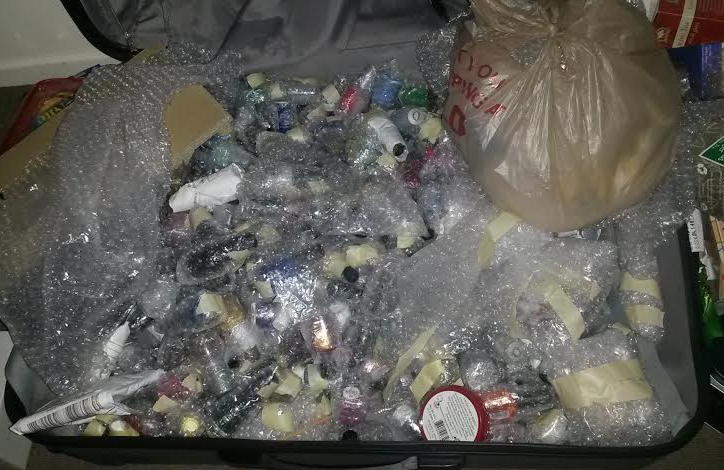 My efforts paid off, though--I only found one bottle broken when I opened the suitcase (which weighed over 60lbs or 27kg, btw), and it was INM Northern Lights, of which I have several backups. So it could have been a lot worse. I now have a sparkly patch on the inside of my suitcase, but that's okay, because sparkles are awesome.